I have some daffodils in my garden! It's officially spring! Tip 1. Declutter - it's the obvious one really isn't it. Haven't used it in a while? Pop it in a box and hide it in the attic, or donate it to the charity shop, or sell it! Swap your wardrobe items around, the thickest jumpers and woolliest hats can be hidden away while some spring floral prints and light scarves can come out! I'm not talking strappy sundresses just yet like I've already spotted out and about, but just maybe a floral blouse with your jeans. I'd really like to declutter but somehow I seem to still have boxes to unpack since moving house last summer! Seriously! I think I'm taking on too much at the moment! Tip 2. Rearrange the living room furniture, instead of everything being focused on the fireplace, now it's time to face the great outdoors (the window) so you can enjoy the sights of spring, feel the fresh breeze through an open window and let the sunlight illuminate the room. I've also moved my throws and blankets from the living room, but kept them handy as we've had a few chilly evenings. I love my gadgets and contraptions! I have a fluffy duster that is actually two that I taped together because I'm short and I couldn't find one with a long enough handle but could also fold flat so I stuck two together with duct tape! 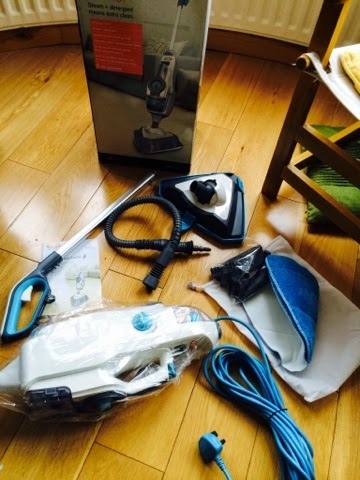 And my latest best friend is the Vax Steam Fresh Combi Steam Cleaner - word of warning - steam cleaning is very addictive and the 10 accessories that come with this one are lots of fun - it officially has 15 cleaning jobs it can tackle!!! 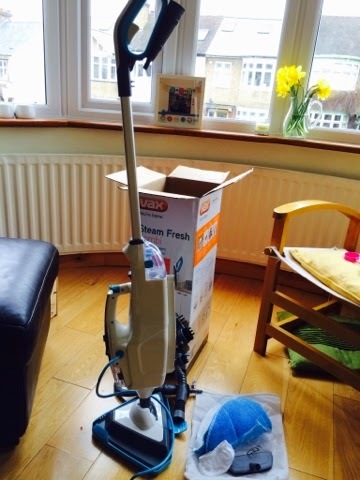 Really easy to assemble - just a case of a couple of clicks and very straight forward and easy to use - this is my first Vax product and I found it so straight forward to use, I only needed to flick through the instruction manual once. I have a stone floor in the kitchen so I used it as an upright steam cleaner - there was a patch on the floor that has been there since before we bought the house, it was something red that has set hard to the floor - no amount of products had manage to lift it - I tried bleach, I tried one of the acti fizz products and I tried some oven cleaner - I even tried to chisel it off and nothing has worked - just a few minutes with the steam cleaner and it started to go! 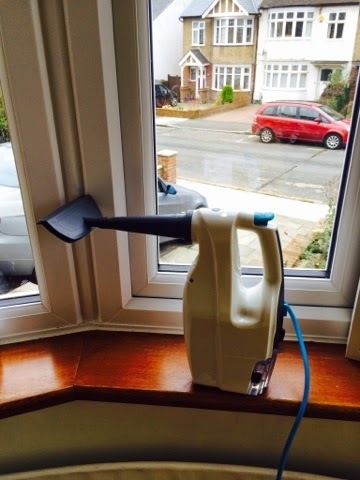 I love the window cleaning attachment on the handheld steamer and I've used it on the mirrors in the kitchen as well as the windows. 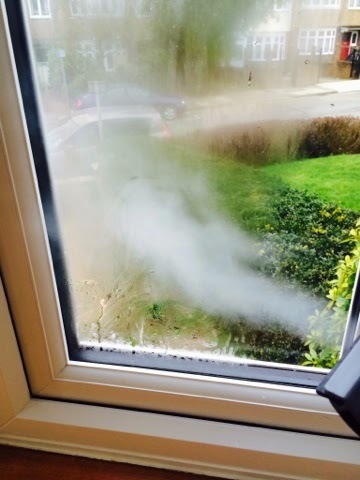 This one took a moment to get the hang of, my first attempt was a bit streaky but now I'm a whizz - The mirrors in the kitchen need a regular clean as they are right where my children sit to eat - somehow these mirrors are always covered in hand prints! I used the small brush to clean the grooves in my kitchen table and I've also found the nozzle brilliant for removing that orange coloured mould that seems to appear every now and then around the bath. 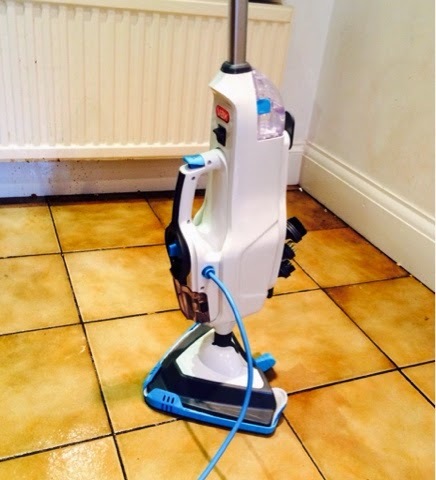 It has a carpet refreshing tool which I used on the stairs carpet and I used it on our mattress too. I'm currently working on a massive playroom project at the moment and the Vax has been a brilliant help. 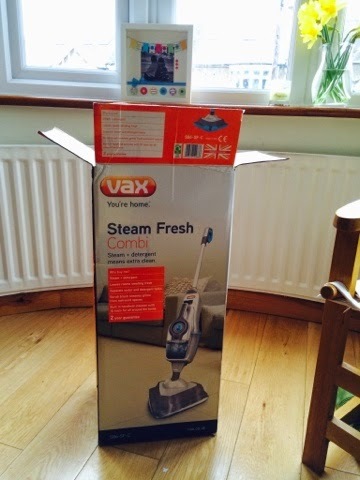 I find I use the handheld steamer as much as I use the Vax Steam and Fresh Combi as an upright. Ready to go in less than 30 seconds from switching on." Tip 4. Use fresh fragrances - we all love a scented candle don't we! 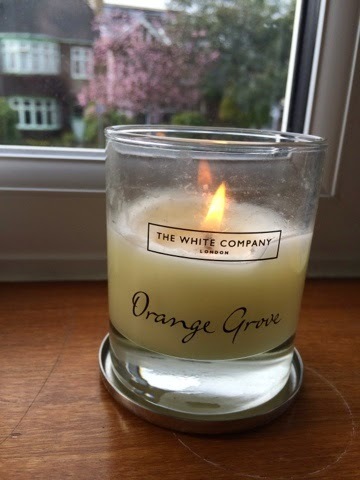 I'm currently using an Orange Grove fragrance - Im always fond of a citrus scent in spring. Tip 5. 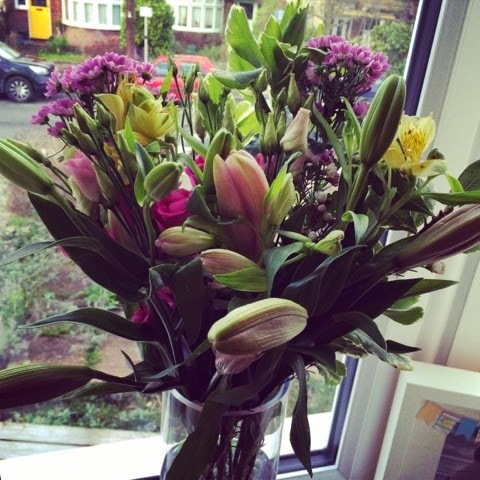 Add some fresh cut flowers - always a spring favourite! 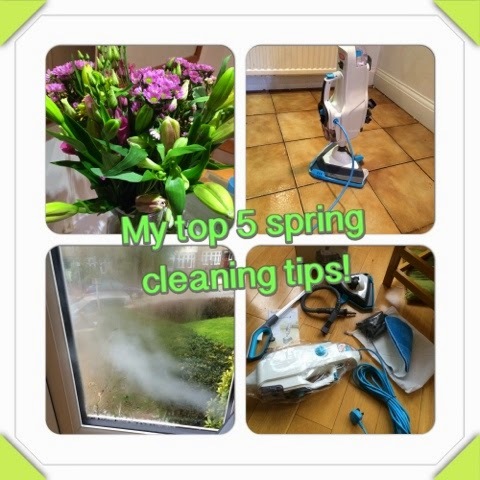 What are your favourite Spring Cleaning tips? Disclaimer - this feature is brought to you in collaboration with Vax.